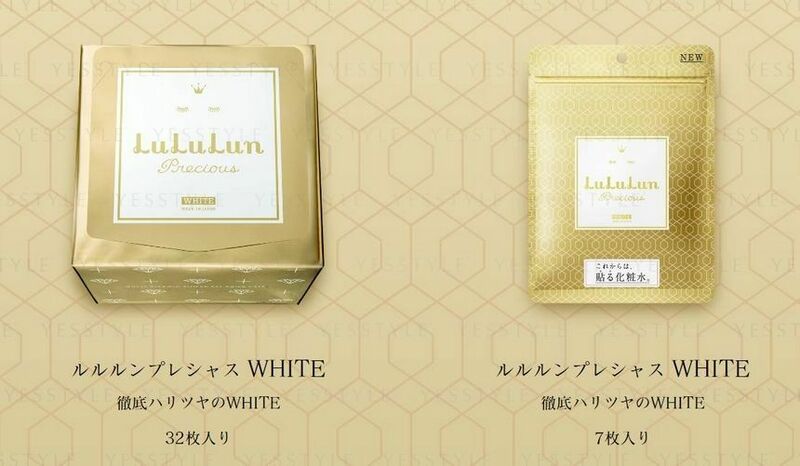 Brighten and lift mature skin with the LuLuLun Face Mask in Precious White. 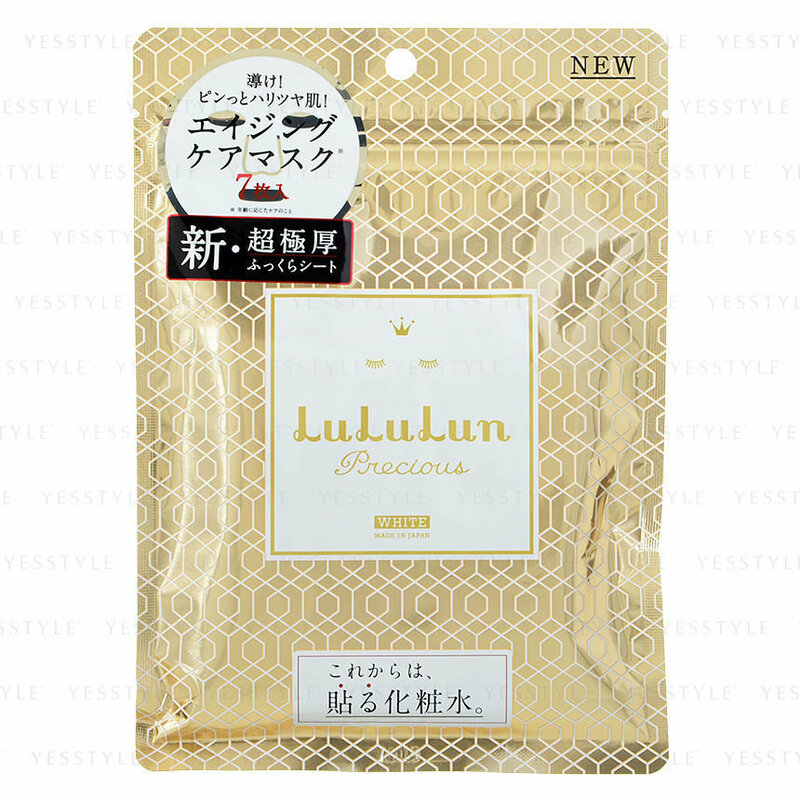 A luxurious daily treatment developed in Japan to deliver anti-aging benefits while evening out skin tone with long-term results. A powerful selection of four vitamin components - Vitamin C, E, B3 and B5 - work in synergy to provide anti-inflammatory and antioxidant properties, helping to alleviate signs of premature aging caused by free radical damage. Enriched with extracts of Avocado and Rooibos, the formulation effectively combats melanin production and enhances ceramide regeneration, minimizing the appearance of freckles and discoloration while boosting the lipid barrier to smooth the look of fine lines and wrinkles. Remove the mask and pat skin with the folded mask to absorb excess product.